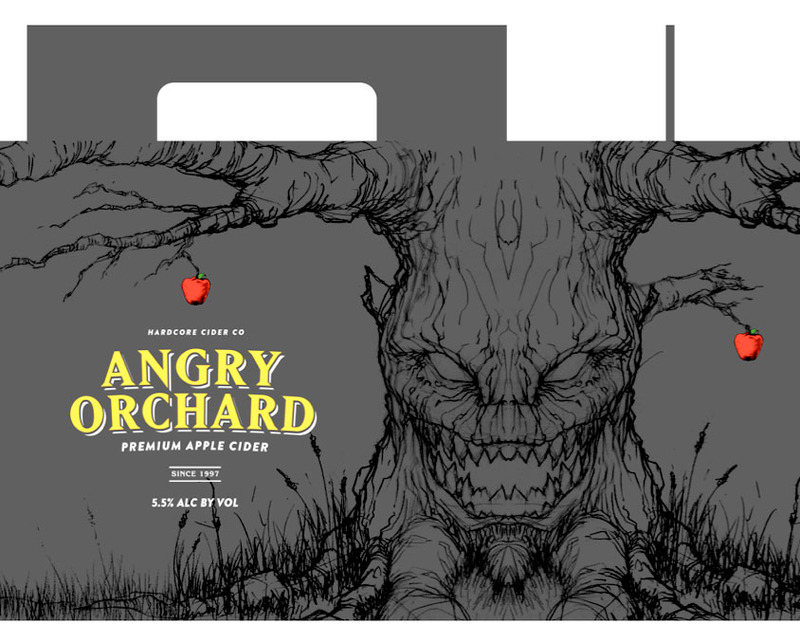 Last year, Angry Orchard contacted the company I work for, Pilot, about branding their new hard apple cider. The name was already a lot of fun so we were very excited right from the beginning. We started from the beginning with the tree itself. It was a long and winding road but after a great number of iterations we finally made it work. The viciously angry apple tree. This tree was what set the whole thing off in the right direction. The design was laid out by a great designer, Erik Weikert, and then I penciled it out quickly. The only thing wrong was it was a little too vicious for the Angry Orchard brand. They wanted more attitude, less monster. Normal apple tree. 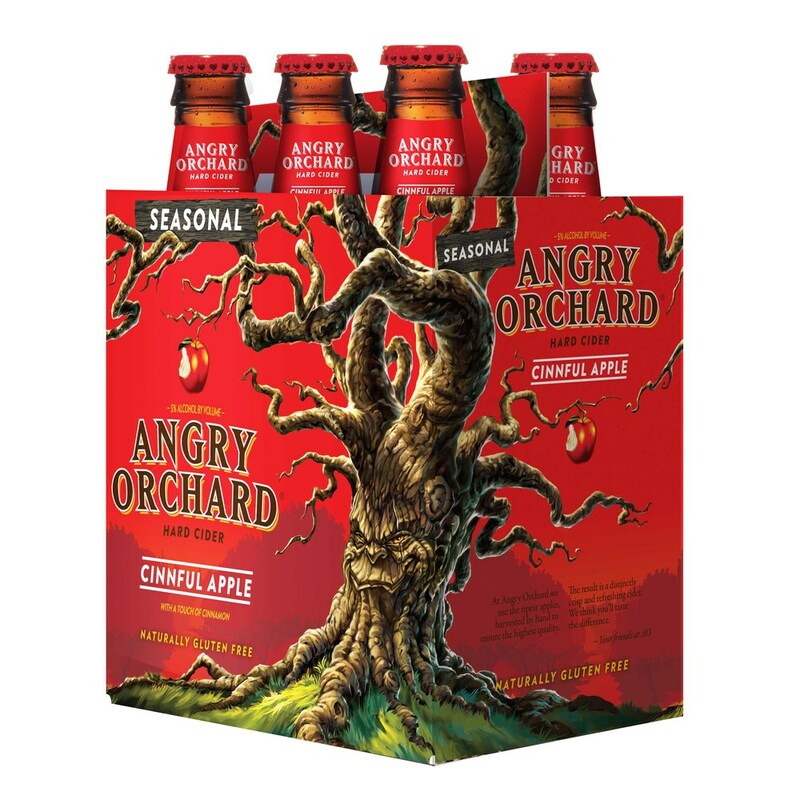 This, of course, was a little timid for a great name like Angry Orchard. 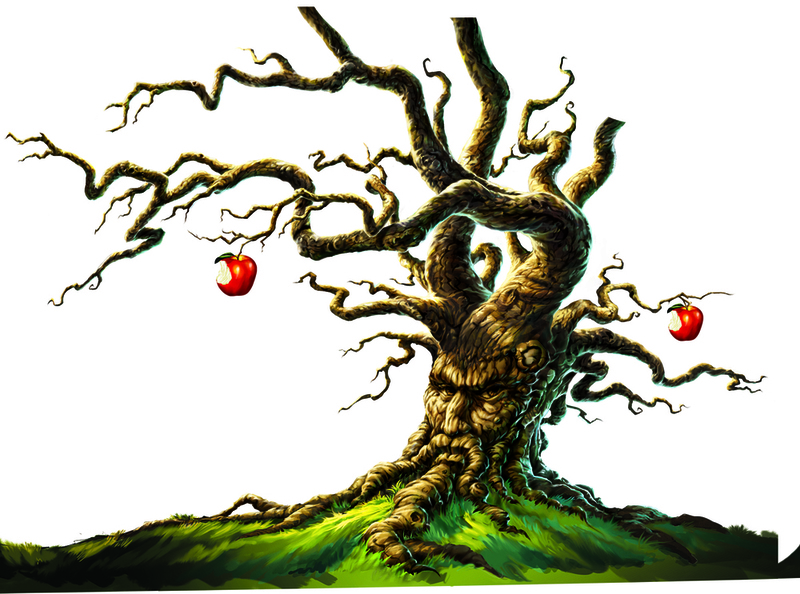 The happy apple tree. I went all the way in the other direction with a few drawings just to see how they liked them. The moderately angry tree was where the whole thing ended up going. Now that we had the attitude we had to get just the right tree to fit perfectly in the dieline of a 6-pack. This was an extensive problem-solving exercise. After getting just the right tree, we started on a crazy number of faces trying to find one that fit just right. And we finally got one that everyone liked. 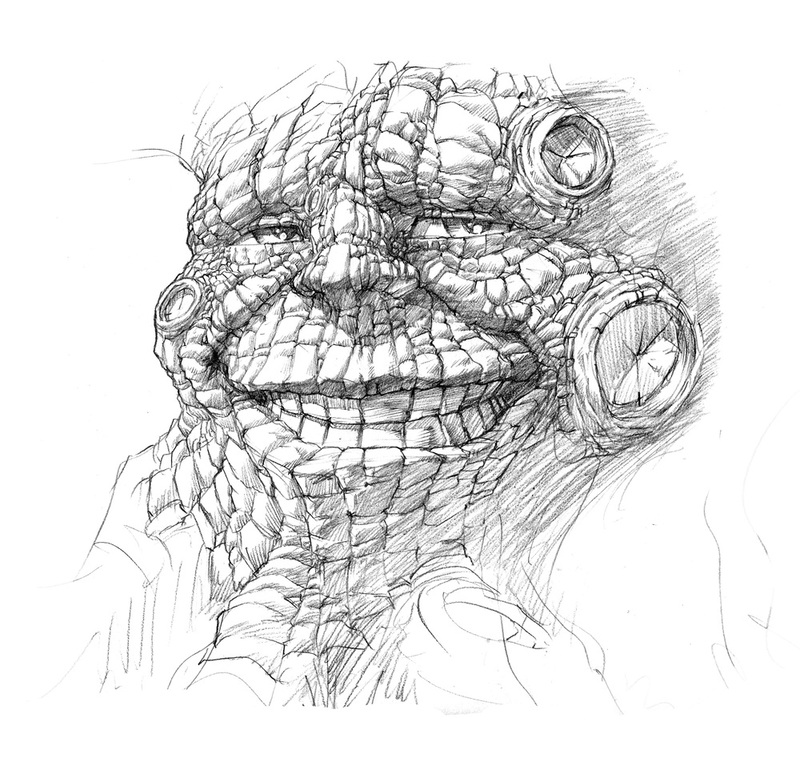 After this face was chosen, I did a final pencil over the whole thing. This was one of the color studies I did that got pretty far along. This was back when I was extremely new to digital painting, and I was a little slow and inexperienced. The final shown here was completed as a collaboration between a few different digital painters. The first flavor did so well across the country that Pilot was contacted to illustrate two more flavors. They chose two pencils from the initial set we submitted. Here is a color study of the Apple Ginger and a tone study of the Traditional Dry. The final pencils for the Apple Ginger flavor. Here is the final product for Apple Ginger. The final pencils for Traditional Dry. Here is the final product for Traditional Dry. 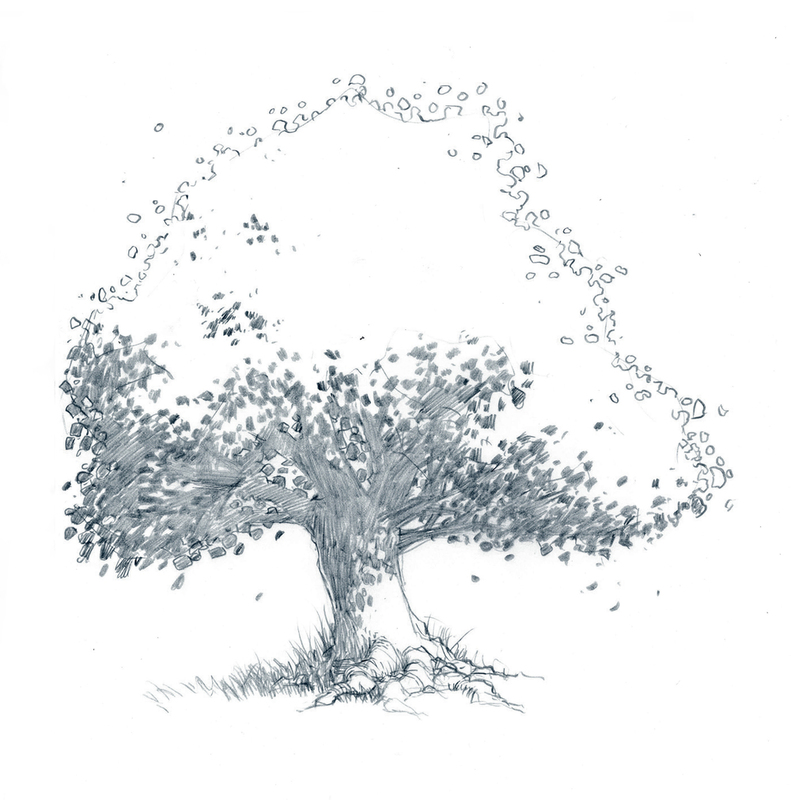 The final pencils for the Elderflower flavor. The finished product for Elderflower. 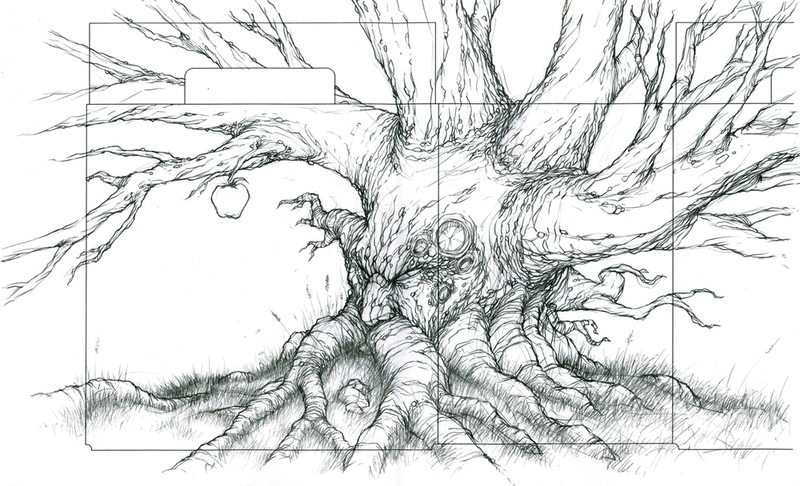 The pencils I did for the Cinnful Apple flavor. The finished product for Cinnful Apple. Here is the final Green Apple pencil right next to the final paint (final paint by China Blue Rocket). Here is the final product of the Green Apple flavor. Next up, after even more flavors of cider, was designing a cider tap to go out to bars as a promotional item. It was great fun to design. I had even offered to do the final sculpt for them but unfortunately they outsourced it to a different studio. The first round of cider tap designs. The second round of cider tap designs. They ended up going with a very simplified version of the last design that I did. 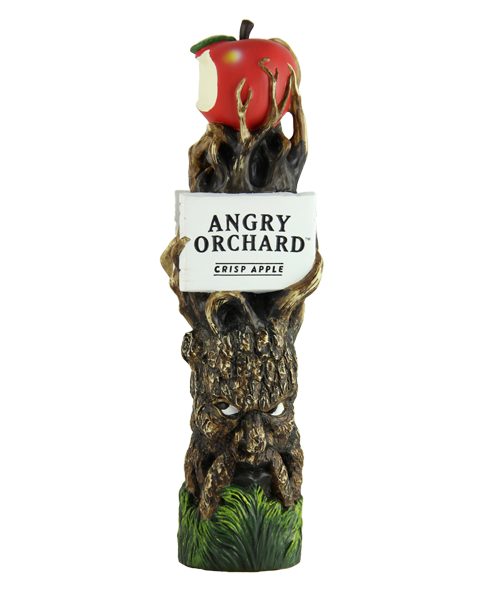 Here is the finished product for the Angry Orchard Cider tap handle. Last but not least, a few faces from some flavors of cider that were canceled at the very last minute. Both times they were canceled because demand was so high they actually ran out of a specific type of apple!